At AMGAD, we believe that each of us has our own special color. As experts in natural color diamonds, we've made it our mission to provide our clientele with the most magnificent and extensive array of natural color diamonds. Founded over 52 years ago, the AMGAD collection showcases the full spectrum of color through our loose natural color diamonds and fine jewelry. 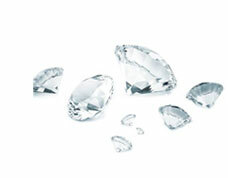 Each natural color diamond is a unique, one of a kind gem perfectly cut to exhibit its true color. Most diamonds in our collection most have been independently certified by a recognized gemological authority (G.I.A., I.G.I). So whatever color you seek - whether an Argyle intense pink diamond, a 25ct intense yellow diamond, or a rare and collectible vivid green diamond — you'll find it with AMGAD. 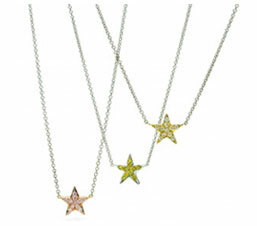 And since we manufacture and wholesale these gems, AMGAD diamonds are offered at unbeatable prices every day. It was a wonderful experience to prepare my engagement ring with Amgad's Staff. They are very dedicated to their customers. The service was excellent! Very nice, friendly staff and excellent merchandise.Great company , great customer support, awesome experience!Recommended on Apr 2016 "I was so impressed with the staff. They are so friendly and helpful . Even though I wasn't making a large purchase, they really took the time to help me find what I was looking for! I love my new ring! 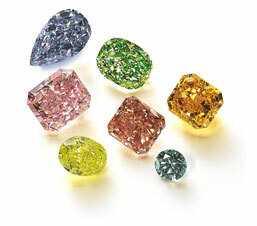 Excellent Sevice Amgad's passion for color has earned us a reputation as one of the world's foremost suppliers of natural color diamonds. At AMGAD®,we believe that each of us has our own special color. As experts in natural color diamonds, we've made it our mission to provide our clientele with the most magnificent and extensive array of natural color diamonds. Founded over 52 years ago, the AMGAD collection showcases the full spectrum of color through our loose natural color diamonds and fine jewelry. Each natural color diamond is a unique, one of a kind gem perfectly cut to exhibit its true color. Most diamonds in our collection most have been independently certified by a recognized gemological authority (G.I.A., I.G.I). So whatever color you seek - whether an Argyle intense pink diamond, a 25ct intense yellow diamond, or a rare and collectable vivid green diamond — you'll find it with AMGAD. 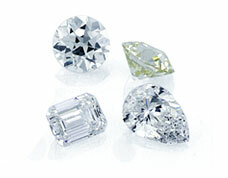 And since we manufacture and wholesale these gems, AMGAD diamonds are offered at unbeatable prices every day. 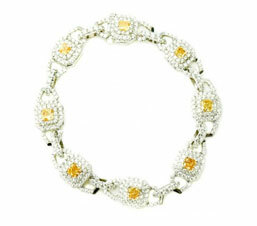 Diamonds are known for their unmistakable sparkle. They are often associated with engagements and special occasions, however they can be incorporated into just about any situation. With most diamonds, there is more to it than meets the eye! Learn how the presence of natural inclusions and blemishes on and within a diamond impacts its appearance. 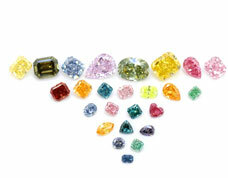 Color is the natural color or lack of color visible within a diamond. 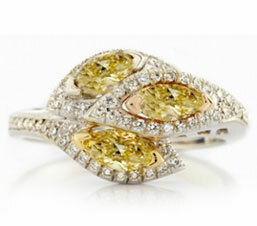 Learn how the amount of color present affects beauty and value of the diamonds & its appearence. 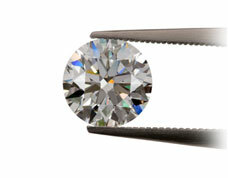 Carat is the most visually apparent factor when comparing diamonds. Learn how this unique weight scale used to measure gemstones affects their appearance and value.